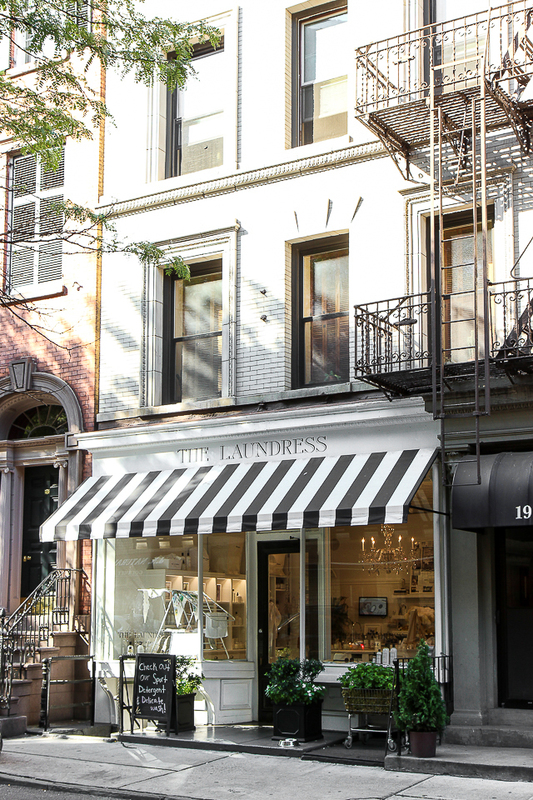 Today I’m excited to take you inside The Laundress flagship in Soho, and give you a peek into a brand that’s taking that most dull and dreadful of chores – the laundry – and putting a stylish spin on it. 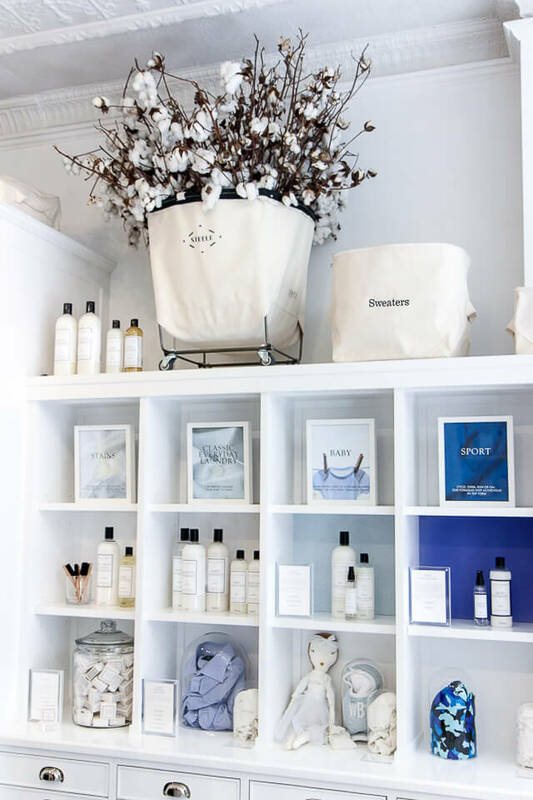 Not only is the branding on point, but the products themselves are a miles better than your typical store-bought detergent. 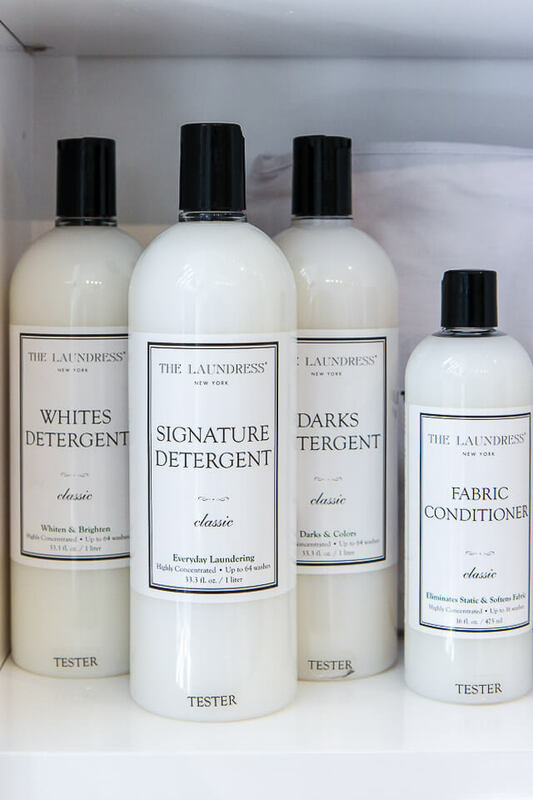 The Laundress uses natural scents and colors, recyclable and eco-friendly packaging, and never tests on animals. 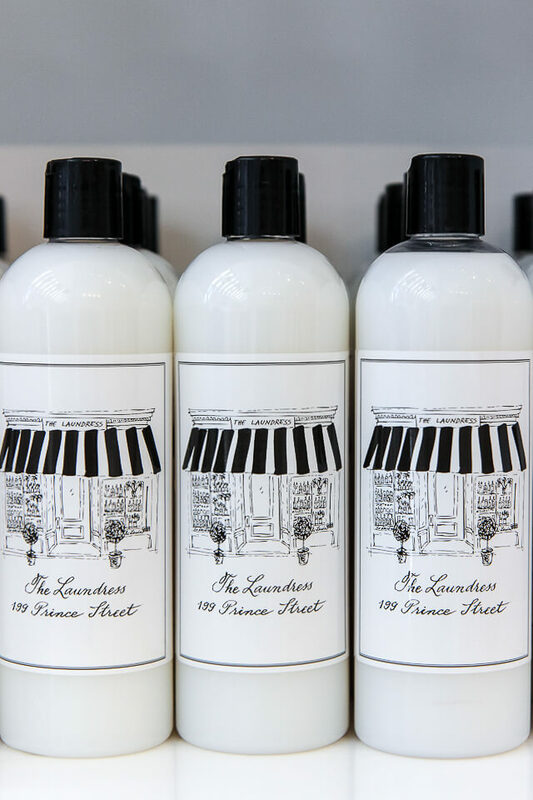 Their products are sulfate and phosphate-free, and don’t contain any dyes. 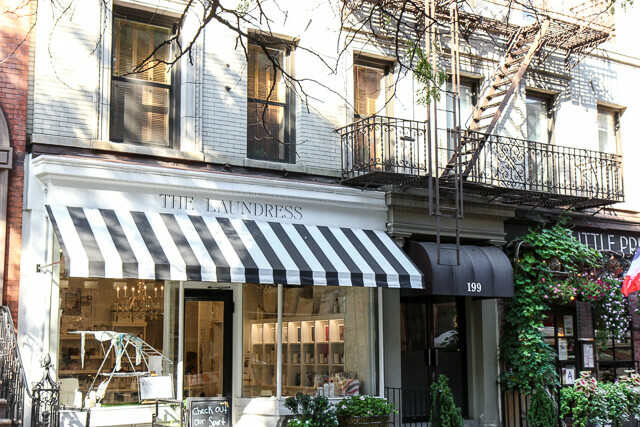 Besides creating eco-friendly and natural products for laundry, cleaning, and personal care, Gwen and Lindsey have another goal with The Laundress, one that they drive home on their site and in-store: educating the public about fabric care. 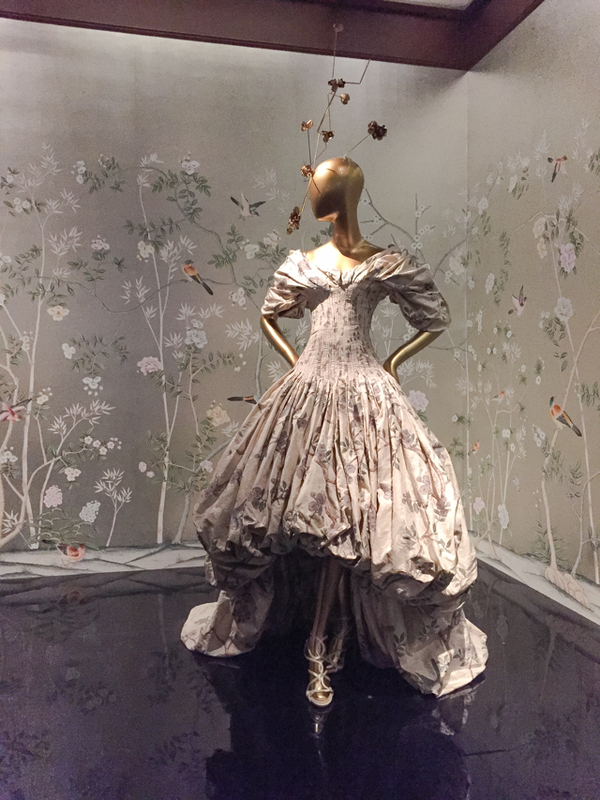 Their website is chock-full of info on how to best take care of your clothing and fabrics, which I really appreciate because clothing is so expensive nowadays – it’s important to take good care of it and use quality products to launder those pieces that you’ve spent a good chunk of change on! 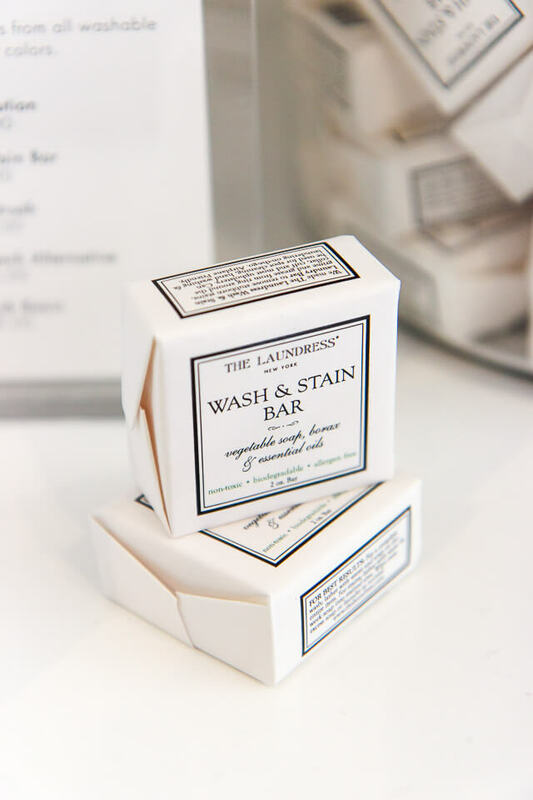 For example, did you know that 90% of items that are labeled “dry-clean” can actually be washed safely by hand? Think of the money you could save! (I mean admittedly, hand-washing is a pain, but more and more I’m feeling uncomfortable about the toxic chemicals that are used in dry-cleaning). 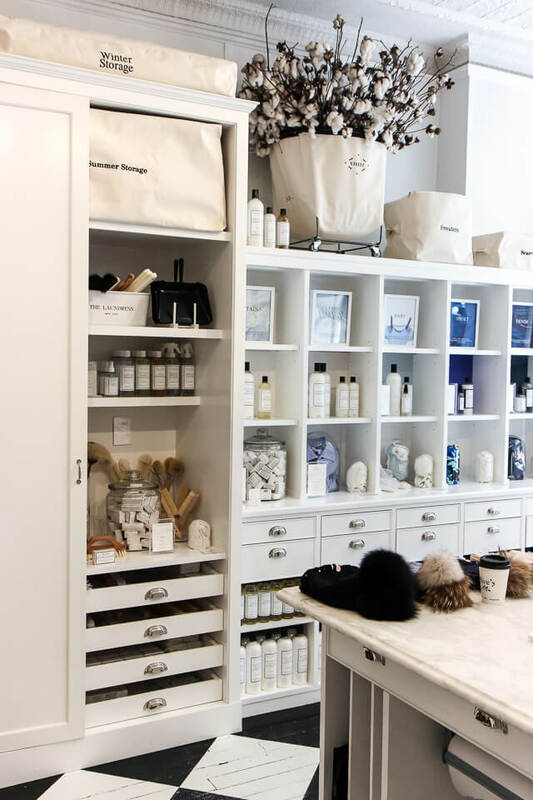 The Laundress has particular detergents for different fabrics and uses – their Signature (good all-purpose option), a formula for your delicates (a personal favorite – love the lightly herbal scent), a Wool and Cashmere shampoo, an Unscented option, and many more. 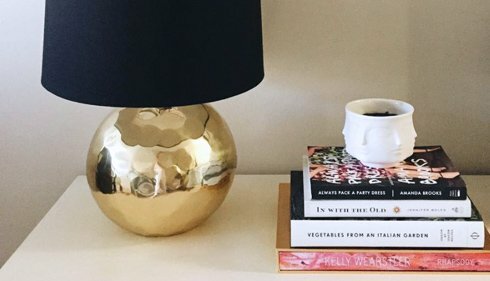 In addition, they sell cleaning tools and other household items that are so pretty you’ll want to keep them on display instead of hiding them away! 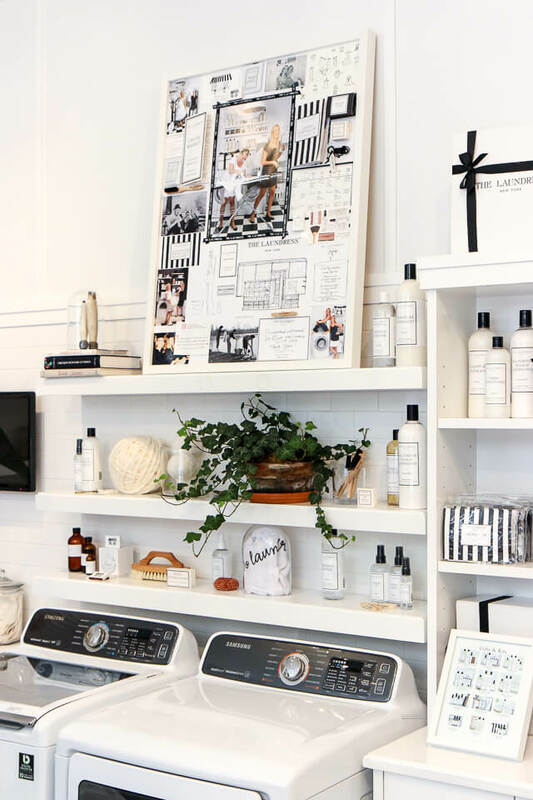 Never have I wished so much that I had a laundry room. 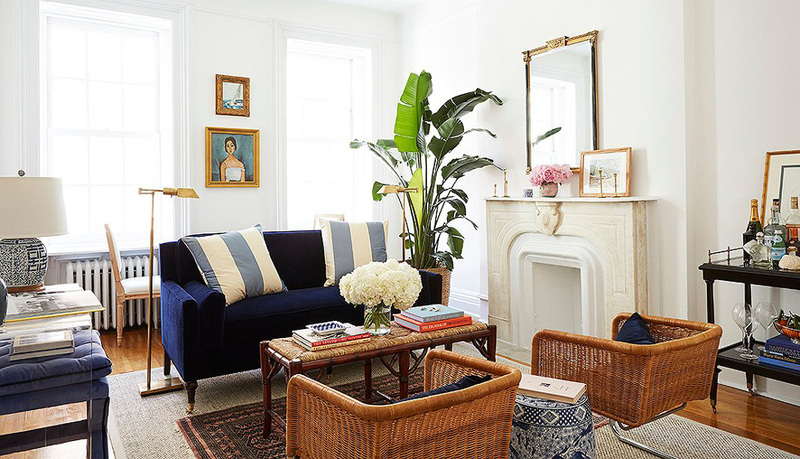 Happy to have discovered your blog through Pinterest! 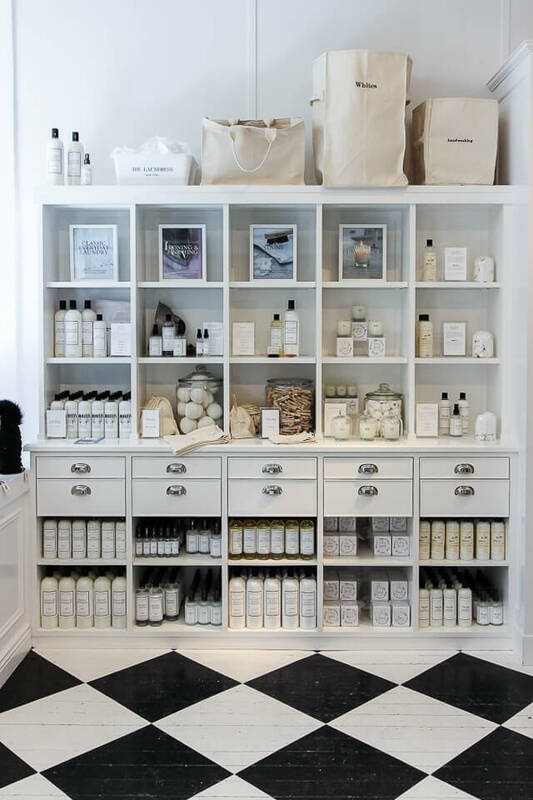 I love little specialty stores like this one, they always give me instant happiness. On top it love adding little luxuries to my daily life from time to time. We are visiting from Belgium in March and I’m already planning all we want to see/ do/ eat/ drink ;). 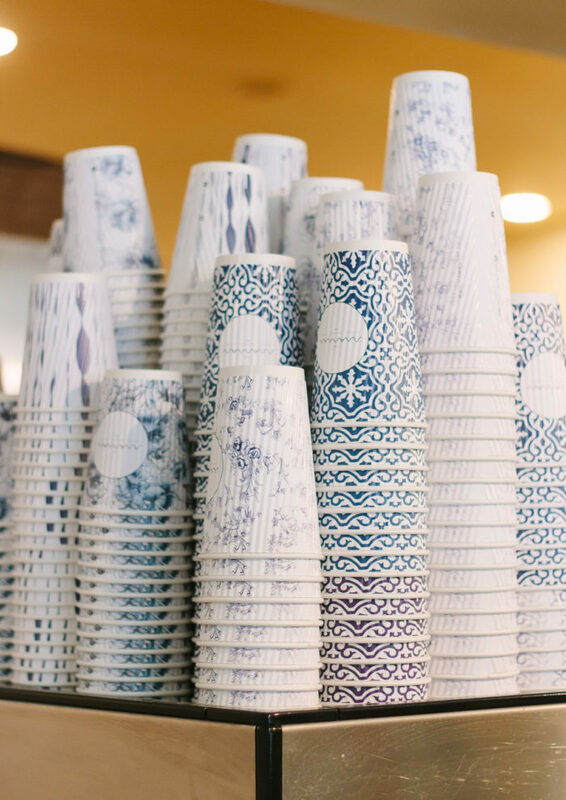 We’ve travelled to the city before and this time we want to focus more on Soho. So I’m going through your blog to discover it all! Thanks Birgit! I hope you have a wonderful trip!